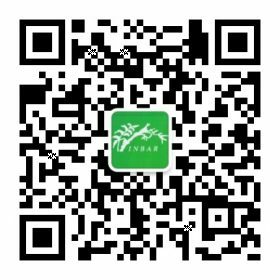 On August 1, 2014, the Republic of Malawi joined the ranks of the 40 member countries of The International Network for Bamboo and Rattan (INBAR) – the first intergovernmental organization to be headquartered in China – bringing the number of INBAR’s African member countries to seventeen. The nation hopes that its membership with the intergovernmental organization will enable it to take full advantage of its ample bamboo resources. Though bamboo is already heavily used, the bamboo industry is still underdeveloped in management and utilization. Prof. Jiang Zehui gives her remarks at the flag-raising ceremony. At 11:00 on September, 3, 2014, H.E. Ernest M. Makawa, the Ambassador of Malawi to China joined Dr. Hans Friederich, the Director General of INBAR, in raising the national flag of Malawi at INBAR headquarters in celebration of the country’s accession to INBAR. Professor Jiang Zehui, the Co-Chair of the INBAR Board of Trustees, ambassadors and diplomats of INBAR member countries to China from Africa, and representatives of the Ministry of Foreign Affairs and State Forestry Administration of China, along with government trainees from Latin America, the Caribbean and the South Pacific at INBAR for a training course, joined the event.With much of the country’s economic income based in agriculture and a largely rural population, bamboo is a great place to focus for economic growth. “Malawi officially joins the INBAR family as its 40th member state, unfolding a new chapter of development for INBAR’s mission, which attaches great significance to today’s event,” said Prof. Jiang in her remarks. Traditionally, Malawi has used bamboo in the construction of houses and in the making of fences, sleeping mats, baskets fish traps, and other household ‘craft’ products. Bamboo has also been used to a lesser extent as fuelwood energy and feed for livestock. 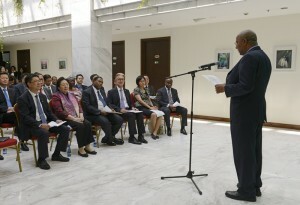 Malawi hopes that a developed sector will include the production of bamboo shoots for food, as well as for blinds, floor tiling, chopsticks, healthcare products and chemical products, such as vinegar. It looks to China and INBAR’s 38 other member countries to see the potential of their bamboo sector, including the possibility of bamboo-based carbon credits. Malawi looks forward to the capacity-building skills INBAR has to offer in addition to new and innovative technologies shared between member countries. Malawi is located in the southeast of Africa, adjoining Mozambique, Tanzania and Zambia, with the Eastern African Rift Alley cutting through its territory. Like many other Eastern African countries, a large part of Malawi is mountainous, and much of the country’s economic income is based on agriculture and a largely rural population. Deforestation, curbing erosion and sustainability in rural areas raise great challenges for Malawi’s development. Photos not from INBAR sourced with permission from: ’Bamboo management and utilization in Malaw,’ by Erick Charles Mbingwani and Dave Rhodrick Moyo.